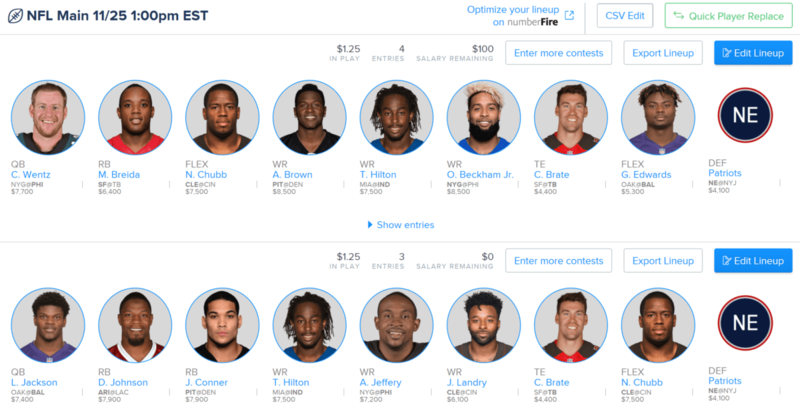 We were 8 for 10 in cash lineups over the last 2 week, and we’re back for more cash in Week 12! Let’s get to winning you some CASH in Week 12 of the 2018 NFL season! So, without further to do, here are my suggestions for the Best Daily Fantasy Football Plays for Cash Games for Week 12 contests, along with they’re prices on Fan Duel (“FD”), Draft Kings (“DK”) and Yahoo! Daily Fantasy (“Y!”). The Baltimore Ravens get to roll into a soft matchup against the Oakland Raiders, which sets up nicely for a positive game script that plays the strength of their rookie QB, Lamar Jackson, and their newfound backfield weapon, UDFA RB Gus Edwards. The Ravens are at home and are favored by 10.5, so I like the value on the ground with both those guys, and the Baltimore Ravens Defense, but I’ll be off all the Raiders and all the Ravens pass catchers. The Philadelphia Eagles are really struggling and laid a huge goose egg last week on offense and defense, but I’m back on this week at home against the New York Giants and their 28th ranked defense. Plus, the price has come down on Carson Wentz, Alshon Jeffery and Zach Ertz. I like all three this week. The San Francisco 49ers and Tampa Bay Buccaneers have the highest over/under of the weekend (54). The 49ers are a middle of the road 21st against the pass and 14th against the run, while the Bucs are the pits ranking out at 30th against the pass and 27th against the run. I still don’t trust Mullins, but George Kittle should have a good day, as should Matt Breida. And the Bucs aren’t terrible either, as although I don’t trust the QB, I’m OK with Mike Evans, Desean Jackson and Peyton Barber. And with O.J. Howard on IR, I love playing Cameron Brate at a huge discount this week. Other RBs with good matchups include the Melvin Gordon (against a mediocre Cardinals defense that’s 15th against the run and in line for a positive game script – just keep an eye out for the potential knee/hamstring injury, in which case, pivot to Austin Ekeler), James Conner (to bounce back against a Denver defense that’s solid against the pass but just 16th against the run), a rejuvenated David Johnson (in a boom spot as the primary weapon against a Chargers defense that is 18th against the run), and rookie sensation Nick Chubb (against a Bengals defense that’s third to last against the run). At WR, I really like T.Y Hilton against a Miami defense that’s 22nd against WR1s and Julian Edelman against a demoralized NY Jets defense. Both WRs have been rolling of late. I also liked the New England Patriots defense against a Jets team that will be starting Josh McCown again. 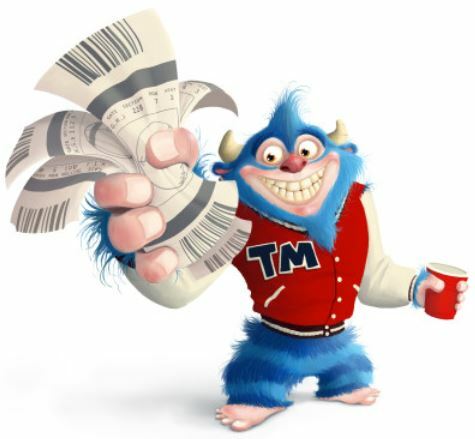 It’s not going to be pretty, but you might as well enjoy the discount. Keep a close eye on the Doug Baldwin injury. If he’s a no go, or if he doesn’t look great during warm ups, feel free to pivot to Tyler Lockett. 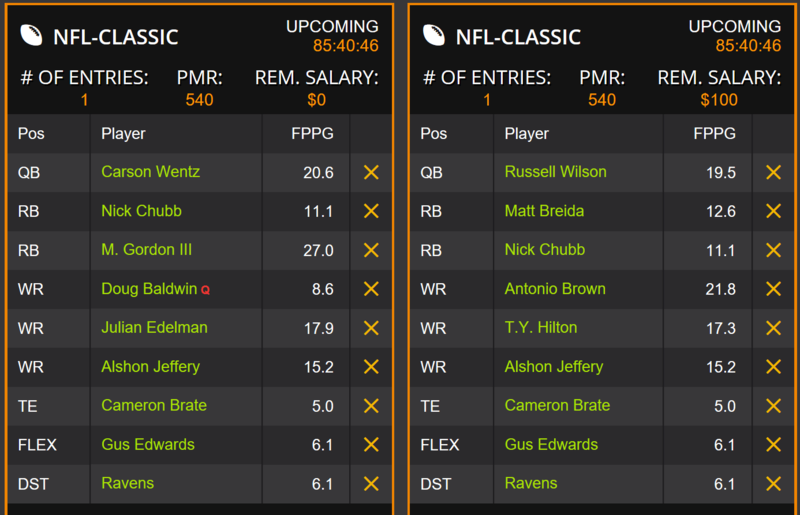 Good luck everyone, and I hope you all win DFS Cash in Week 12!